At Reno, ca 1938. Nevada State Railroad Museum Collection. When the Virginia and Truckee Railroad completed its branch line between Carson City and Minden in 1906, passenger service was provided by a mixed passenger and freight train. It was soon apparent that additional passenger service was desirable, but adding a passenger-only steam train was too expensive. The Virginia and Truckee looked at motorcars as a more cost-effective solution, and in 1910, purchased a 70 foot gas powered McKeen motor car to provide twice-a-day passenger service between Minden and Carson City. The McKeen Motor Car Company of Omaha, Nebraska, was organized under the sponsorship of E. H. Harriman of the Union Pacific and Southern Pacific Railroads. It was one of the most successful of the early motor car manufacturers. The cars featured ultramodern steel stressed skin construction, "dustproof" porthole windows, and the distinctive knife-shaped wind-splitter front. By 1932, passenger traffic on the V&T was declining all over the railroad. 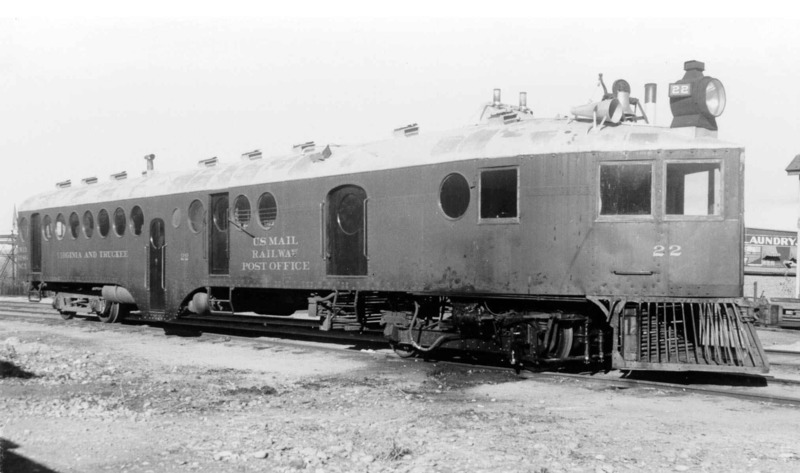 The McKeen car was rebuilt in the shops with expanded mail and express space, and placed in service all the way from Reno to Minden, making a round trip once per day. The car final made its last run in September 1945, one of the last unmodified McKeen cars running in the nation. In 1946 the body was sold to become a diner, and later Al's Plumbing Supply office in Carson City. It was donated to the Nevada State Railroad Museum in early 1996. The official unveiling of the restored car was May 9, 2010, one hundred years exactly from the date it was delivered to the Virginia & Truckee Railroad.